Extend your connection with the Mini Gender Changer DB15 Female to DB15 Female from Tera Grand. This device converts a DB15 female connection into a DB15 female connection, reducing the strain on the connectors and jacks. 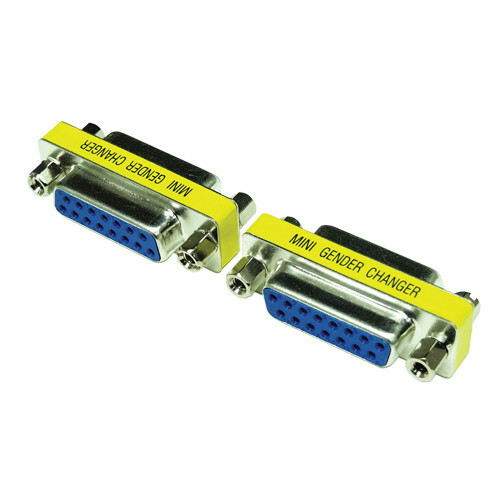 Please note that this item cannot be used with a VGA connector or VGA cable. Box Dimensions (LxWxH) 5.4 x 3.1 x 0.7"